Heeft u een vraag voor Guesthouse Akicafe Inn? Guesthouse Akicafe Inn in Minami Ward, Hiroshima is een populaire keuze onder reizigers. Vanaf hier kunnen gasten genieten van eenvoudige toegang tot alles wat de levendige stad te bieden heeft. Dankzij de praktische locatie liggen alle belangrijke trekpleisters in de buurt van het hotel. Het Guesthouse Akicafe Inn biedt een onberispelijke service en alle essentiële voorzieningen om reizigers een plezierig verblijf te bieden. 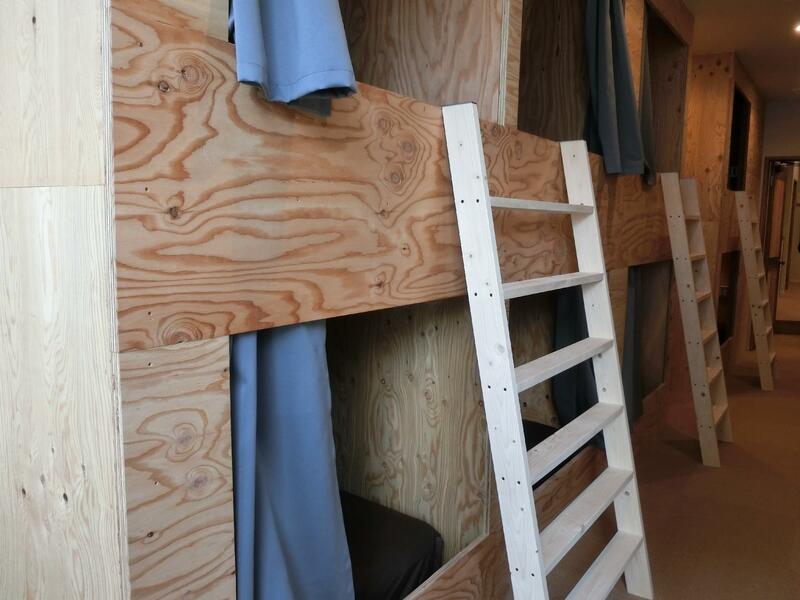 Het hotel heeft een uitgebreid aanbod aan services, inclusief gratis wi-fi in alle kamers, bagageopslag, wi-fi in openbare ruimtes, wasserij, bibliotheek. De ambiance van het Guesthouse Akicafe Inn weerspiegelt zich in de inrichting van de kamers. draadloos internet (gratis), rookvrije kamers, airconditioning, verwarming, koelkast zijn slechts enkele van de faciliteiten die u ter beschikking staan. Daarnaast garanderen de talrijke recreatieve mogelijkheden dat u zich tijdens uw verblijf kunt vermaken in het hotel. Het Guesthouse Akicafe Inn is een uitgelezen keuze als u een kwaliteitsaccommodatie zoekt in Hiroshima. Very close to the JR station, and right next to a trolley stop (so you can easily get to most of Downtown Hiroshima). It was also very clean and comfortable -- I liked the kotatsu in the living room. The guest workers were very friendly. One complaint I have is that there were only two showers, and at night it was sometimes hard to wait for a shower to open up. I came to Hiroshima alone and expected to be alone on my whole trip. But thanks to Guesthouse Akicafe, i've made wonderful friends who are very inspirational. Also, The staff was friendly and helpful. And it took me only 3 to 4 minutes walk to the station. ( note that i walked really slowly :))) So, if you don't mind small space and to make new friends, it's ideal place for you. 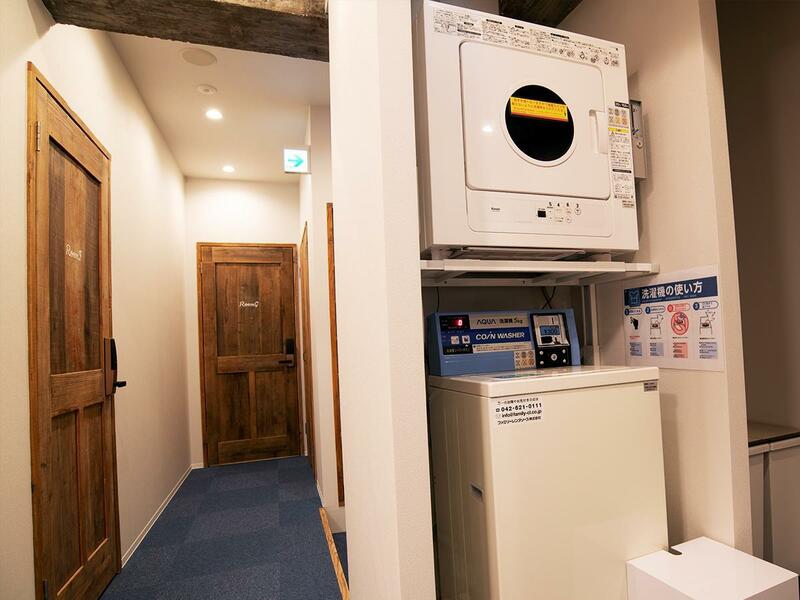 Bad things: - pretty dirty place comparing to other Japanese hostels - no place to wash your face or brush your teeth (you have to do it in the kitchen sink) - pillows are not pillows. I have no idea what was that - difficult to sleep in the morning even with earplugs. Staff starts to do other's bed in the early morning Good things: - location was very good - Rie the manager was very kind and helpful. She even invited me to a bar with her friends, I really enjoyed that evening! There is really nothing I could complain about my stay in akicafe! I loved this hostel. The staff is really so kind, the beds are so comfortable (and new), there is free tee, coffee and towels, super nintendo,... :D meeting other travellers was great. And hey, the location is so good when you travel by train! Plain recomendation! Very close to the station. Nice place with good beds. Lots of details like facial cleanser, towels, chargers for free make it even more convenient to stay there. 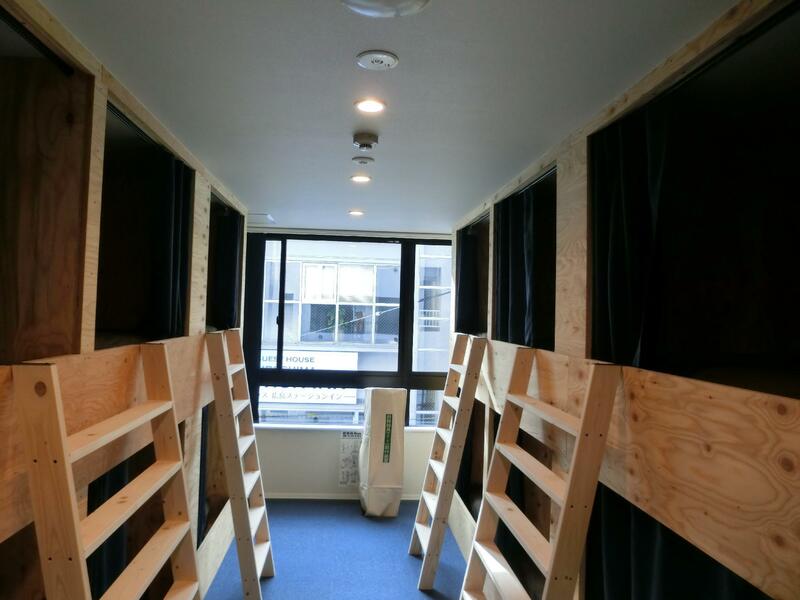 The only disadvantage is the fact that the mixed dorm has no window at all. Makes it a bit sticky. Akicafe is a small hostel literally 5 seconds away from Hiroshima JR train station. I stayed in the female dorm, the bed was comfy, with a personal light and outlet. the room is clean, but a bit cramped, this is normal for Japan, so no complaints. Two Japanese washlet toilets, two sinks and two showers with hot shower, free towels and toiletries. There are small lockers in the common area. The kitchen is a bit small, it has a washer and drier, free coffee and tea, common sitting area with tatami, kotatsu (oh yeahhhhh!!! ), tv and games, board games, manga, etc... the staff is super friendly and helpful, fluent in Japanese, English and Chinese. You can rent a bike. What else? Go there and enjoy Hiroshima!! It's very close to the main station but it's not noisy. Many food choices and convenient stalls there. Staff is helpful. The owner was very kind, even after being awoken by me early in the morning to put my luggage. I like that all beds have a curtain for privacy. It's a homey feeling and staff are all friendly. Highly recommended. The location was close to downtown and the station. Bicycle rental made exploration so easy. The Imabari towels were very soft and clean. Very nearby JR station, good for solo traveler! Akicafe is ideally located next to the station (2 mins walk). Very friendly staff (thank you Bonnie). Clean and welcoming. Very good location. Close to tram and Hiroshima station. If Miyajima, Onimichito, or other sites out of Hiroshima are in your plan, this is a perfect location. Room & staffs are good. Love Maruko! They are very near hiroshima station. The bed was really comfortable. So far the most comfortable bed in my trip. Privacy curtains is good. As a backpacker, this place was very Convenient to move around the places i wanted to visit , the front office is a very nice play to stay and staff are kind.